It's that time of the year again. Sparkly manicures everywhere! I love it, don't you? Today I am showing you Mistletoe Kisses from the China glaze 'Tis the season to be naughty and nice Winter/holiday 2010 collection. 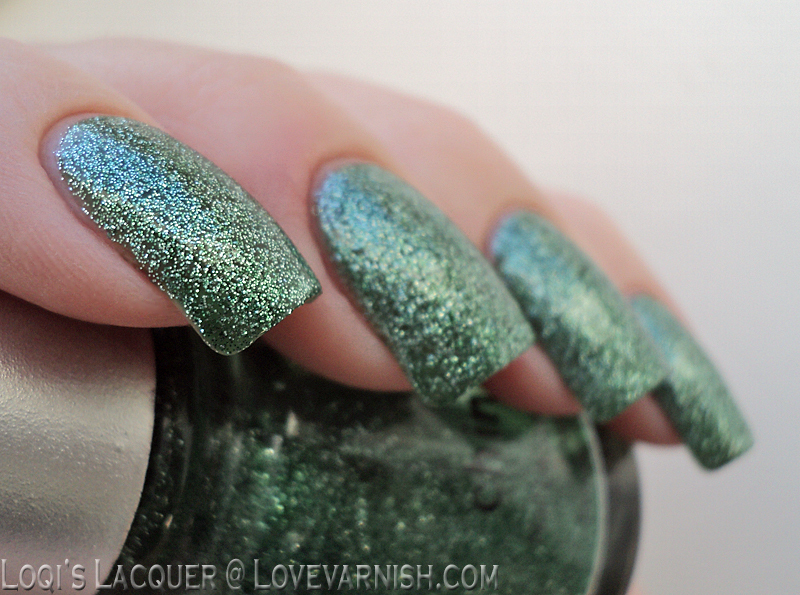 MK is a very pretty and sparkly mix of green and silver glitter in a slightly tinted base. 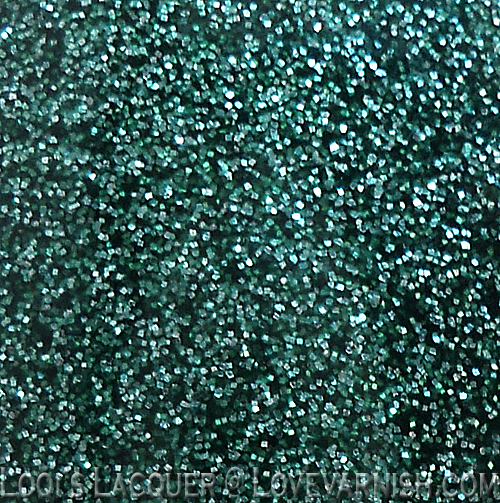 The glitter is very dense, so you can get perfect coverage with this polish in 3 thin coats. 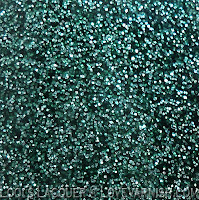 The glitter also settles nice and flat so you don't get too much of a bumpy, gritty surface and with a normal coat of topcoat you get a nice and shiny manicure. I love this polish! It was one of the first China Glaze polishes I ever bought. I think I've worn it a few times already. Christmassy indeed :9 I like! It's great isn't it, so sparkly!